Product marketing, product management and product planning are core competencies of PJM Consulting. We can provide software and hardware companies with assistance across the spectrum of strategic and tactical marketing issues. Do you need advice on software marketing strategy from someone who has “been there before”? PJM Consulting specializes in working with CEOs and other senior executives to optimize a company’s marketing structure, strategy, tactics and results. Do you currently have a hole in your team and need an interim CMO or VP Marketing? PJM can provide one. Are you entering international markets or indirect distribution for the first time? PJM has many years of experience successfully planning, integrating and executing new product management, marketing and distribution strategies; we can head up the effort to get you off on the right foot. With many years of experience in building, leading and consulting with the product marketing function of software and technology companies, PJM Consulting is a ready to provide you with customized expert advice and hands-on assistance to optimize your product marketing mix so you can increase your company’s traction in a your competitive market segment. 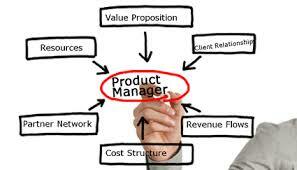 We have written many articles on software/hardware product marketing and product management. Feel free to read these and many other articles on our Blog, a sampling of which you can see on the right side of this page. We are experts at matching technologies with market needs, planning new products, penetrating new markets, introducing totally new technology into existing markets, minimizing costs and wresting higher profits out of mature companies and product lines. Our specialty is the “tough” cases: Startups, turnarounds, hyper growth, new markets and other situations where market traction isn’t optimal or not occurring at all—and needs to improve quickly. Contact PJM Consulting to discuss product marketing solutions to move your company to the next level today! "We retained PJM Consulting to assist us with new product planning aimed at leveraging our printer technology into the emerging Internet-connected category. Phil came up with several promising ideas and developed them into product concepts, in conjunction with our engineering staff. We valued his creativity and team approach, and look forward to working with him again in the future."